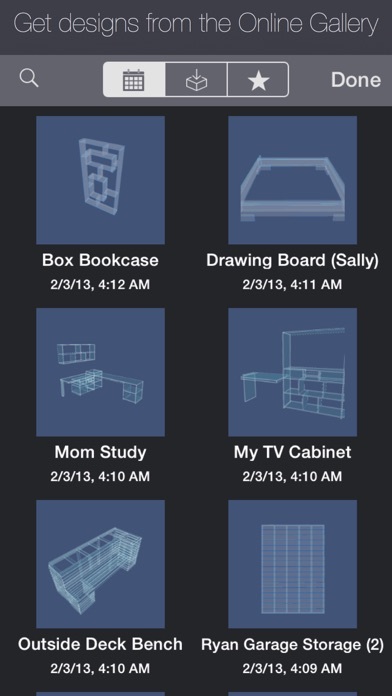 "...every now and then an app comes along that captures our imagination..."
"Woodcraft is a great tool if you're familiar with CAD and 3D modelling." 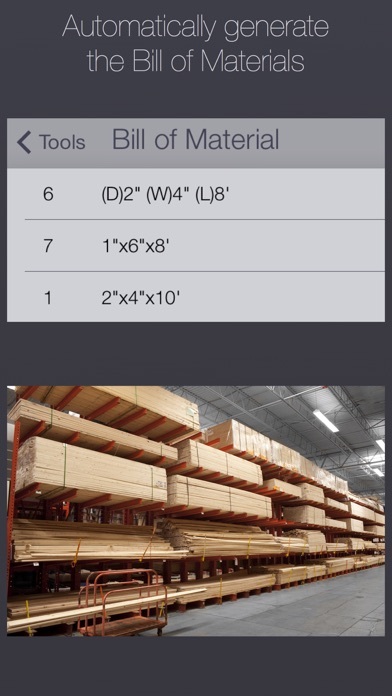 "…Woodcraft is the measure twice, cut once app of apps…"
"...stuck in a waiting room and want to visualize your latest carpentry concept? 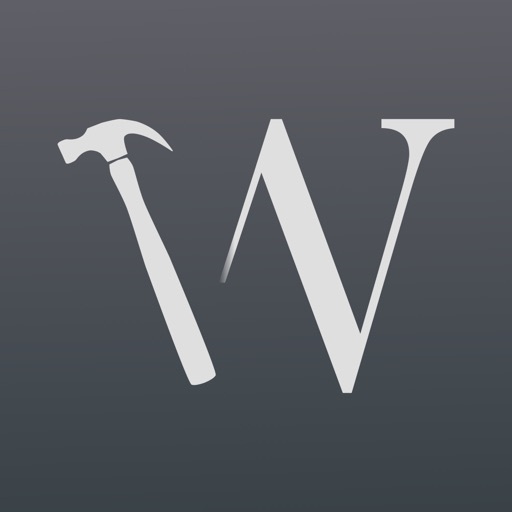 There’s an app for that: Woodcraft..."
"...This is a useful tool not only for the professional builder but can tackle your home woodworking projects also..."
Woodcraft is designed to help professional and budding carpenters draft their next masterpiece. 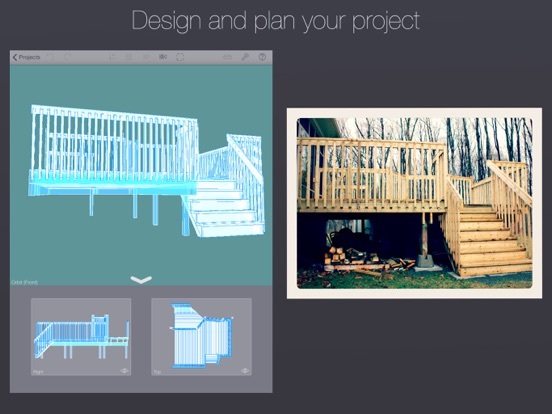 Combining elements of Computer-Aided Design (CAD) and 3D modelling in a delightful and intuitive package, Woodcraft can tackle most woodworking projects: from decks to framing, simple furniture to backyard sheds. Woodcraft enables you to completely design your next project. Woodcraft is optimally suited to work on dimensional lumber projects. - Shop with confidence using the fully-automated Bill of materials. 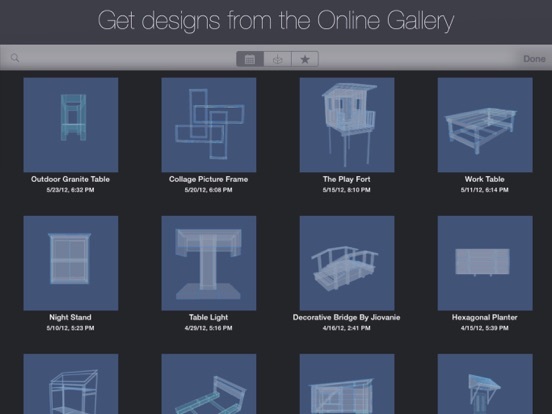 - Design in 2D or 3D and seamlessly switch between both views. Our intuitive view navigation system solves usability problems common in similar applications. 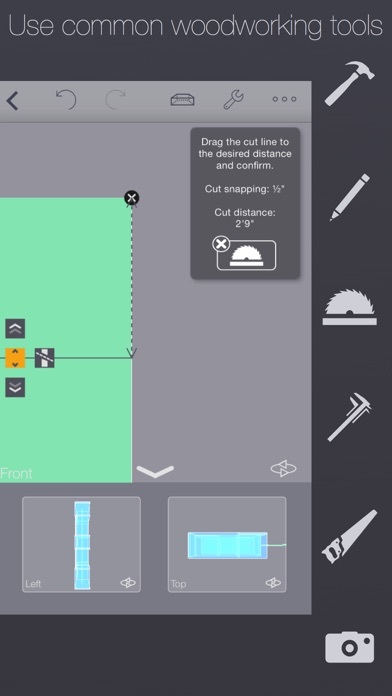 - Align, rotate and move lumber precisely with the extensive grid settings and alignment tool. 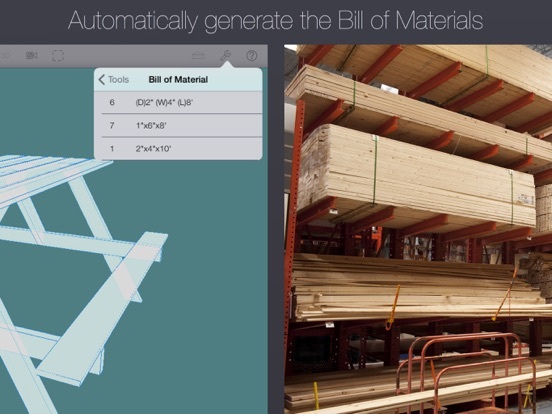 - Create your own lumber types when the app doesn't provide them by default. - Work with rough or finished lumber. When using finished lumber, a 2" x 4" correctly measures 1 1/2" x 3 1/2" while in rough lumber mode it will measure 2" x 4". 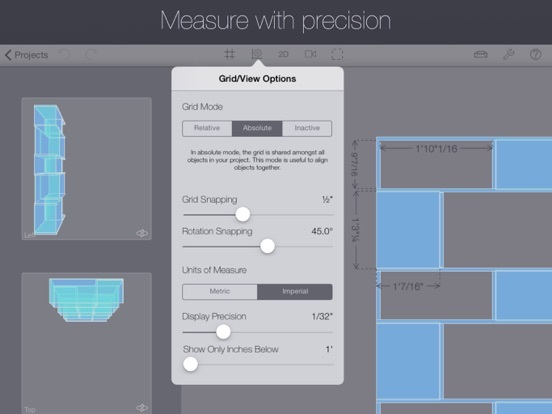 - Measure distances and refer to the on-screen measurements when building your project. Precision can be as fine as 1/64th of an inch! 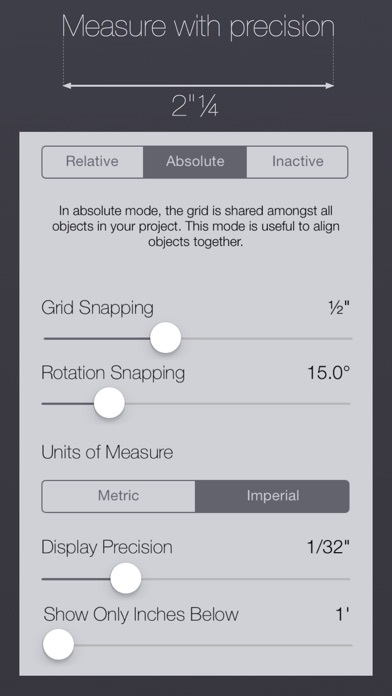 - Work in metric or imperial units. - Use tools such as the hand saw or table saw to cut lumber graphically and precisely. - Generate a Project Booklet, which can then be e-mailed, printed to any AirPrint connected printer or opened in any application that supports PDF documents. 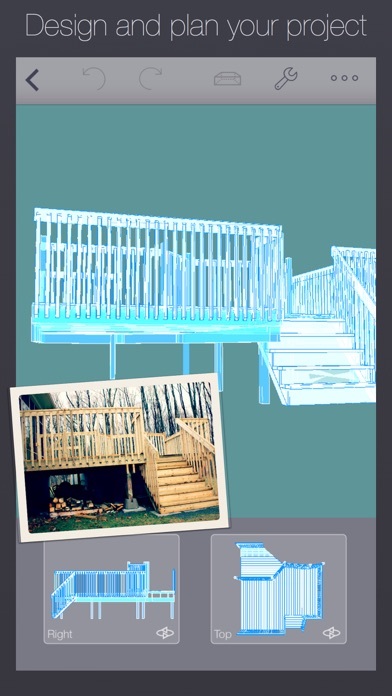 - See your project overlaid on top of photographs using Photograph Mode (available as an in-app purchase). 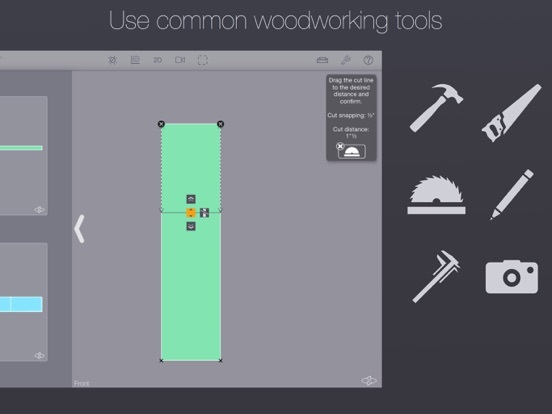 - Transfer your projects by email or iTunes between iOS devices: Woodcraft is a universal app. - Download and share projects with the Woodcraft community in the online gallery and gain Twitter followers in the process. * Woodcraft does not support joinery, dados, circular, rounded or partial cuts. For these reasons, Woodcraft may not be your best choice to design fine furniture or cabinets. * Please note that a Twitter account is not required to use Woodcraft. Only those that wish to upload to the online gallery need Twitter access. - Available in English, French, Spanish and Italian. * Online guides, tutorials and documentation are available only in English.